Connect coin(XCON) is Ethereum based coin (ERC20) design to “connect the world” by simplifyIing means of payment and transfer of money globally, It aims to empower merchants by giving them easily and trusted payment system based on blockchain by using Connect coin, this system known as CONNECT PAY. 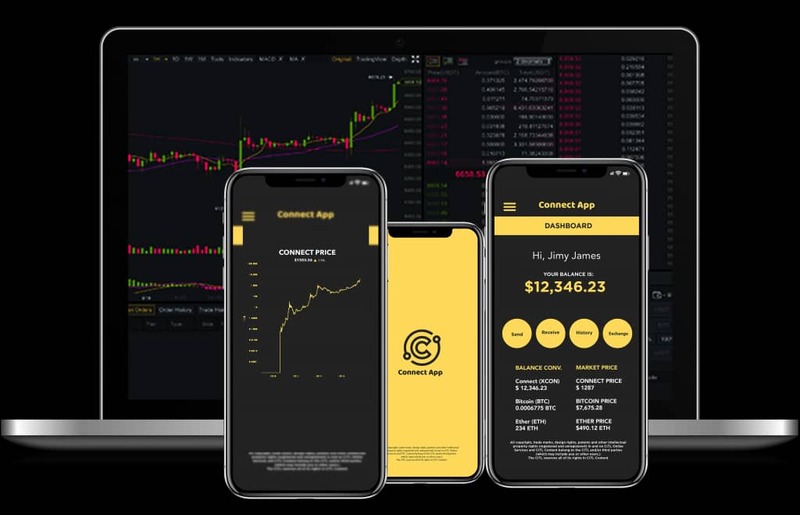 Connect coin will connect buyers and sellers in its grobal market for goods and services known as Connect market place where sellers will be able to advertise their goods and services and buyers can see and purchase easily by using Connect coin. Connect coin (XCON), a business-to-peer-to-peer (B2P2P) E-commerce Ecosystem commited to bring optimal solutions for every one involved. WHY USERS NEED CONNECT APP? How Can I purchase Connect coins? What currencies can i use to purchase Connect coins? The only currency acceptable to purchase Connect coin is ETH. On which exchanges will Connect coin be listed? When and how will it be possible to use Connect coins(XCON)? What is smart contract of Connect coin? ?